Here at Thriving, we always strive to find ways to provide more saving for our customers. Through our dedicated service and strict quality control, we can earn your trust to come back for more. Please pay close attention to our activities, we will often display the discount code on the front page of the store. 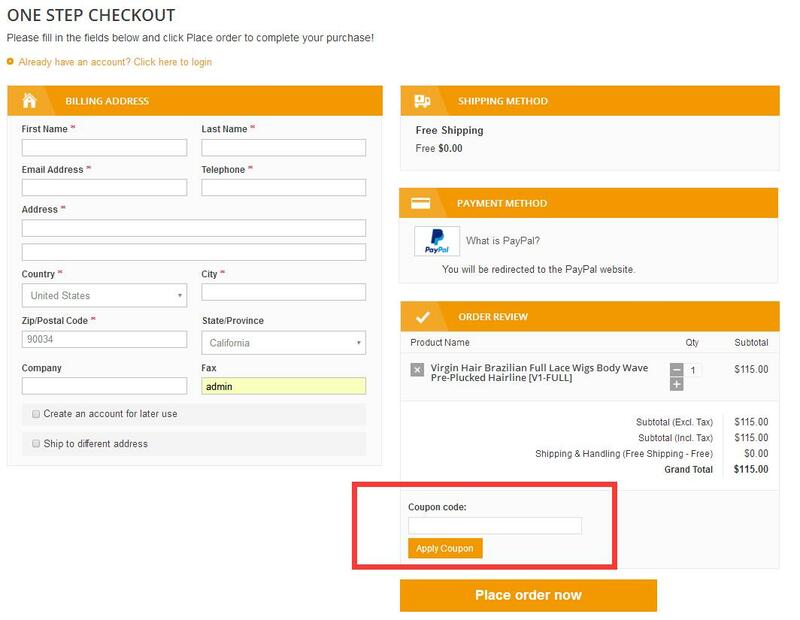 Please find "Coupon code" section in ONE STEP CHECKOUT page, then just enter Coupon Code like "thriving2" ,and click "Apply Coupon" button before you check out.